The Electoral Commissions Forum of SADC countries (ECF- SADC) has congratulated Zimbabwe and its various political parties on the manner in which they conducted themselves during the 2018 electoral period. In its preliminary report, ECF-SADC head Justice Semistocles Kaijage said a spirit of tolerance and restraint was prevalent during the campaign period. On polling day, the mission reported, most polling stations allowed for smooth flow of voters and the secrecy of the vote was safeguarded. “Voters with special needs were given priority to vote. This included expectant and nursing mothers,” said Justice Kaijage. “Indelible ink markers where used, but the application varied between the stations visited. “International and domestic observers were visible at most polling stations visited,” said Justice Kaijage. Unlike previous elections in which the security forces came in for criticism, Justice Kaijage said during this year’s poll security forces were visible at all polling stations, but without interfering with the voting process. Justice Kaijage said it was pleasing to note that even at polling stations where queues were long, voters remained calm and orderly. He said although the counting process was strenuous, counting procedures were followed with the various agents present during the process to ensure transparency. He said lessons learnt in the 2018 harmonised election were to be adopted as the best practices in the SADC region. 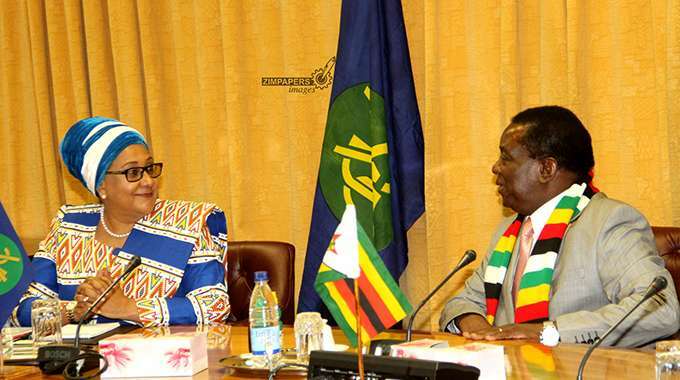 Justice Kaijage also applauded the partnership between ZEC and civil society organisations which he said, “strengthens voter education initiatives and the designation of members of the Commission to specific portfolios during the electoral period”. The mission, whose deployment began on July 26, had six teams deployed in Bulawayo, Mashonaland Central, Manicaland, Midlands and Harare.